This outfit is perfect for the ever changing Ohio spring weather. I am wearing a navy blue Nike pullover, grey Jordan shorts, grey Nike socks, and the classic Roshes. The whole outfit goes together with neutral and dark colors. The pullover is to get some warmth in the morning before the sun comes out, which at that point it will be taken off. 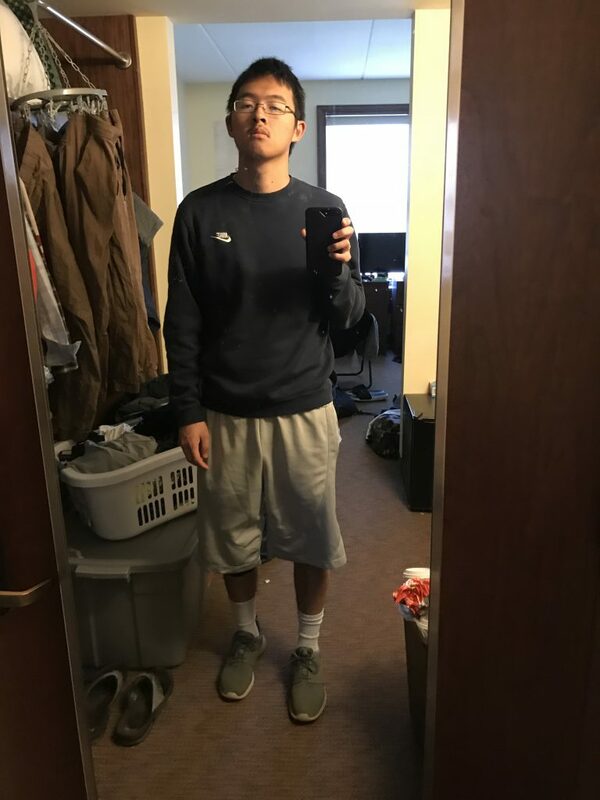 The grey Jordan shorts are some of the most comfortable shorts I own, and therefore I wear them as much as I can. The whole bottom of the outfit works with regard to the grey color scheme. just hot! as always !